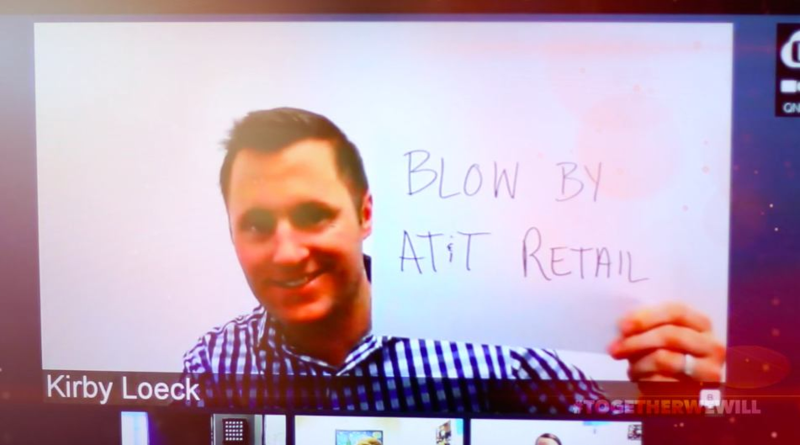 When you walk into a store with an “AT&T” sign overhead, you might assume that the employees you’re speaking with work for AT&T. The telecom giant’s sweet-but-bemused store manager character “Lily” may have dominated the company’s TV advertising over the past three years, but what you may not know is that a growing number of AT&T-branded stores are actually owned and operated by third-party companies. At these locations, the sales people inside have no direct employment connection to AT&T. And despite the harsh economic climate for many bricks-and-mortar retailers, AT&T’s third-party dealer operation is growing. The largest third-party operator of AT&T-branded (but not owned) stores now has over 1,400 locations and opened or acquired 33 new stores last quarter, according to SEC filings. It’s not surprising then that the Communication Workers of America, the union that represents workers in AT&T’s corporate-owned retail locations, is distressed by the trend. If It’s Not AT&T, Who Is It? The use of authorized dealers by telecom companies is in no way new — or exclusive to AT&T — but in this case one of the companies behind the curtain has a familiar face. Spring Mobile is the largest operator of AT&T-branded locations, and while you may not know that name, you have probably heard of its parent company: GameStop. According to GameStop’s filings with the Securities and Exchange Commission, the company is responding to the feast-and-famine nature of the video game business by diversifying its revenue streams — with a heavy emphasis on the potential to run physical retail operations for other companies. Just as we saw Dish leverage its installation and repair infrastructure to provide recall repairs to Samsung customers, GameStop is hoping its retail expertise can be valuable both to its bottom-line and to partners like AT&T. The result is a network of stores that look and sound like AT&T but consider themselves to be in direct competition with corporate-owned AT&T stores. In fact, in GameStop’s 2017 Annual SEC filing [PDF], the company disclosed that its “Technology Brands” business segment, which includes Spring Mobile and an Apple-authorized retailer called Simply Mac, competes with “a wide variety of other wireless carriers and retailers and consumer electronics retailers, including AT&T.” Spring employees are aware of this dynamic — and GameStop’s competitive, sales-focused corporate culture encourages them to embrace it. The CWA, which has been deep in contract negotiations with AT&T, thinks so. The CWA maintains that third-party owned locations provide a degraded customer service experience, and their report contains a long list of alleged issues that they claim stem from a sales-focused culture, lower pay, and aggressive commission structure offered by third-party dealers. The union is pushing for AT&T to commit to a specific ratio of corporate-owned to authorized retailers — a concession that would place a check on the growth of the third-party operations. The report from CWA cites a survey of 1,300 employees of AT&T-owned call centers and retail stores as evidence that these authorized stores are providing a lesser standard of service. According to the survey — which appears to be a non-scientific poll that did not involve any employees from these third-party stores — 76% of the AT&T employees had heard from “customers [who] came to them with problems caused by authorized dealers multiple times per week.” 83% claim that third-party stores are referring their customers to corporate-owned stores when a service issue arises, and 40% said that these non-corporate retailers are offering services that AT&T doesn’t actually provide. It’s worth noting that the CWA report does not give any indication of the types or frequency of complaints that AT&T customer service receives from customers who shopped at corporate-owned stores, so it’s not possible to say whether these survey results are worse, better, or the same than what customers experience at a company-run AT&T retail location. In a statement to Consumerist, AT&T disputes CWA’s claims that customer satisfaction or quality standards are any lower at authorized retailers. Consumerist has also reached out to GameStop, parent company of Spring Mobile, for comment on the CWA’s claims but has not received a response. Do you work at an AT&T store — corporate or third-party, we don’t care — and want to share your thoughts on this CWA report? Shoot us an email at tips@consumerist.com. We will never publish your name or identify you publicly.